These are pencil drawings of thatched huts in India. 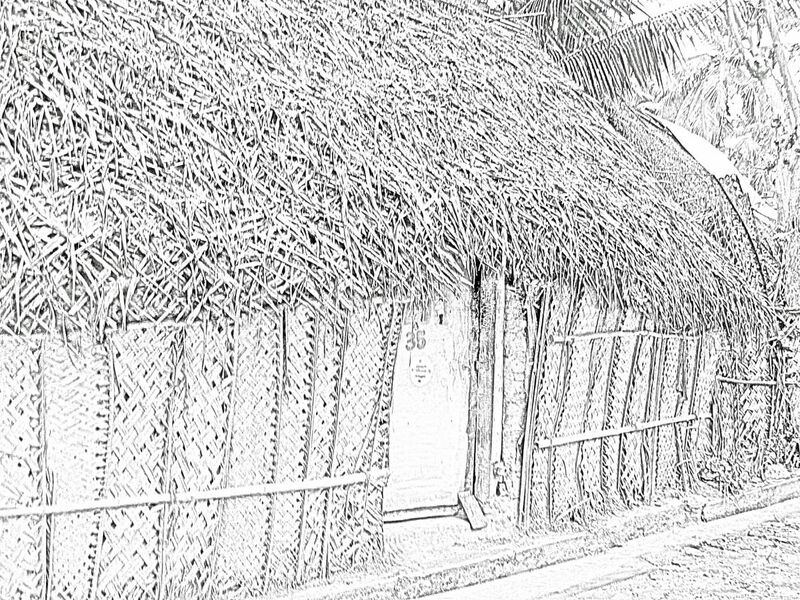 They are based on photographs taken by me in rural Tamil Nadu, between Chennai and Puducherry. 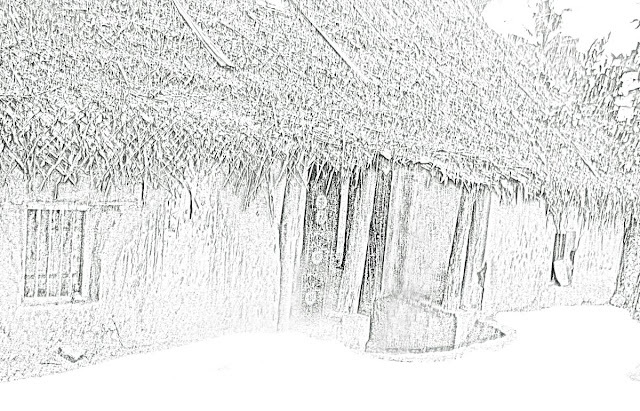 In this you can see that dried vegetation has also been applied to the walls as well as the roof. These layers protect the harder layers inside from water and other elements of nature. 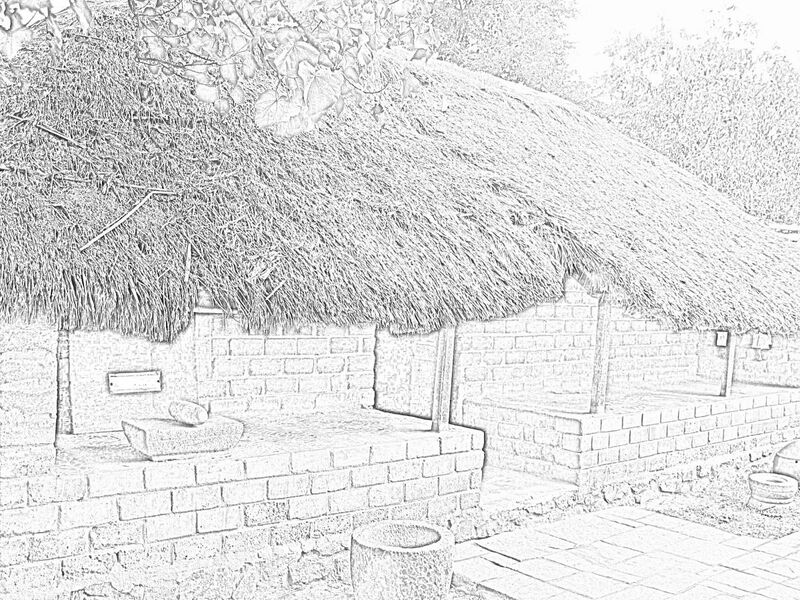 The inner layers are usually made from natural material like mud and clay, although at times brick is used. 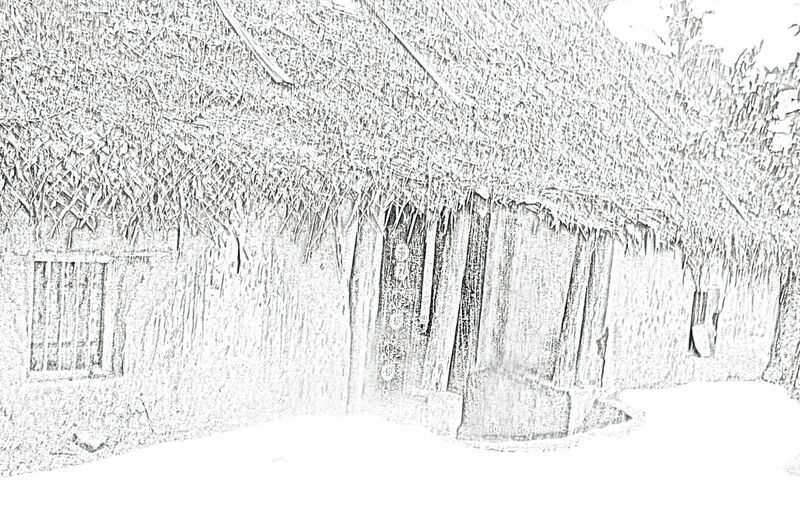 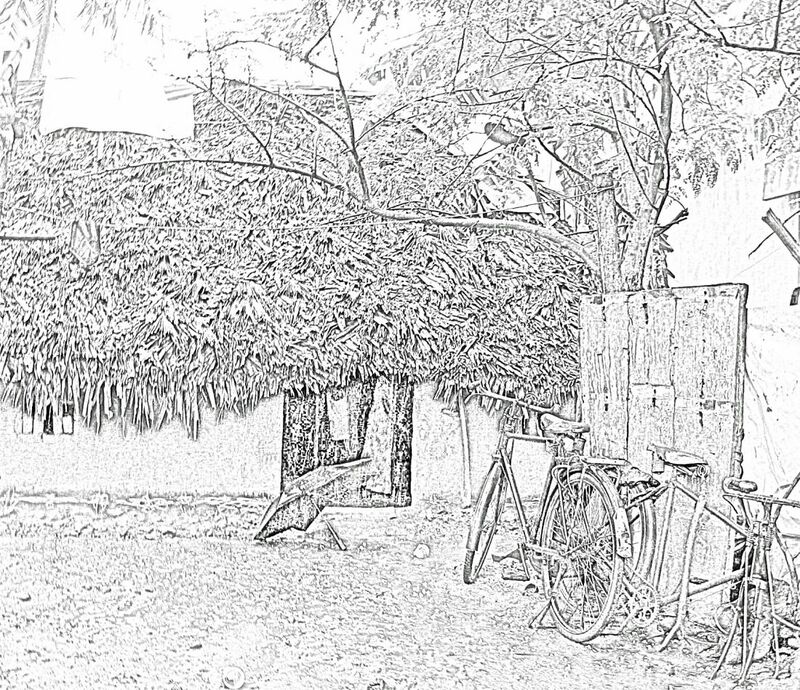 This sketch is also of a hut from the same area in Tamil Nadu. An umbrella can be seen outside the hut as well as some cycles. A thatched hut is the choice of the poor as it is a low-cost option. 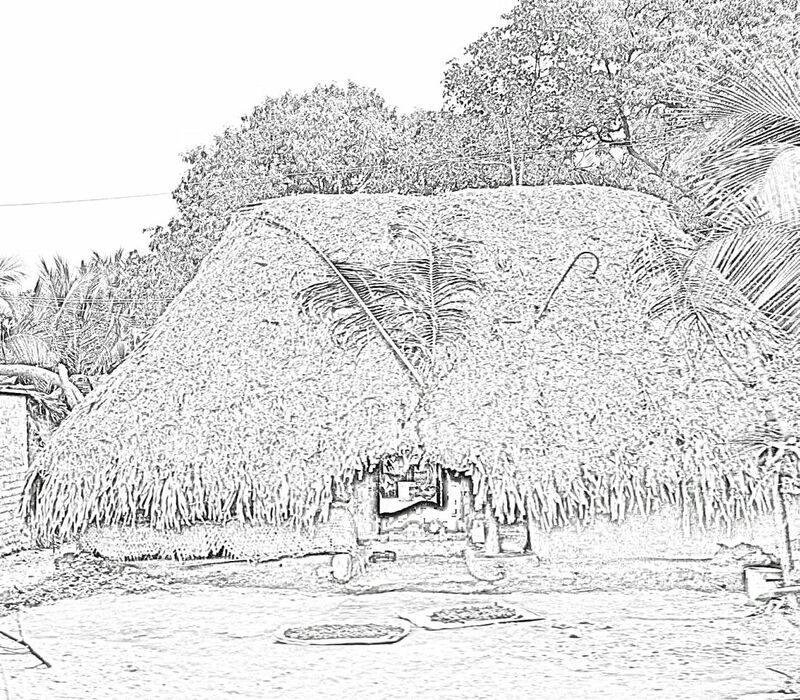 This sketch is not one of a real thatched hut, but a model one in the tourist place of Dakshinachitra.